This post is going to upset some people. People like Ron Swanson, who think that a burger should be made of meat…and nothing else. On this one point (and pretty much nothing else…I love you RON!) I disagree. 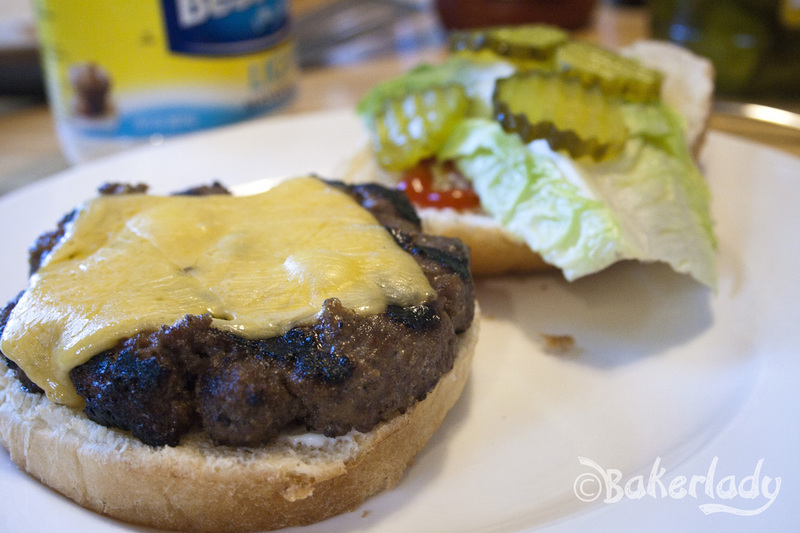 I think that burgers should taste amazing, and be incredibly juicy without serving them mooing on the inside. 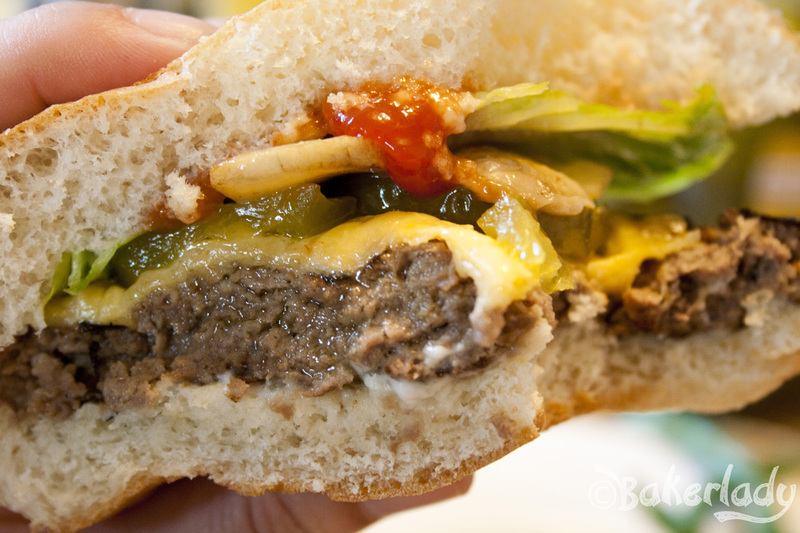 If it is sacrilegious to mix non-meat items into a burger, I apologize…sort of. I don’t tread lightly on tradition when the result is better tasting food. And these burgers taste ridiculously good. Far surpassing any other I’ve ever had. Ever. 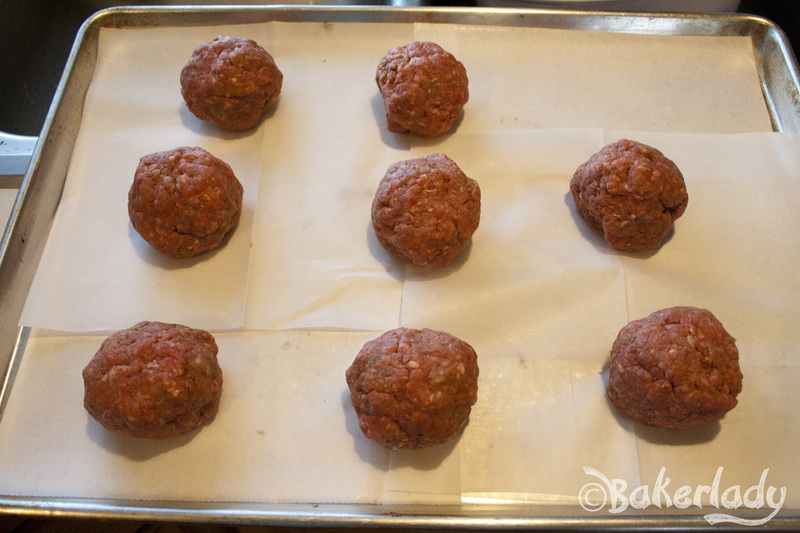 We start with nice fatty ground beef. 20% fat. Keep your lean meat far away from these. If you want a lean burger, make it out of rice and veggies. We add bread crumbs, seasonings (garlic, onion, chili powder), some Worcestershire, salt n’ pepper, milk and an egg yolk. Just the yolk. The white is basically water. We don’t need no stinkin’ water in our burger. 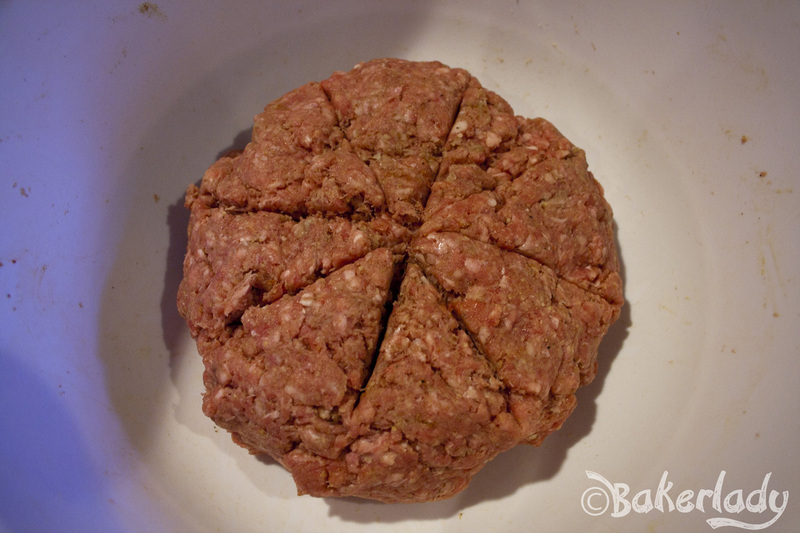 Mix it all up with your hands, form it into a lump and make like it’s a big old meat pizza. Sliced meat. That could be a thing. Right? Then we’re going to use a little secret. A mold. You can use a big peanut butter jar lid, or anything that’s a decent size and reasonably round/flat. I use an empty painter’s tape container. 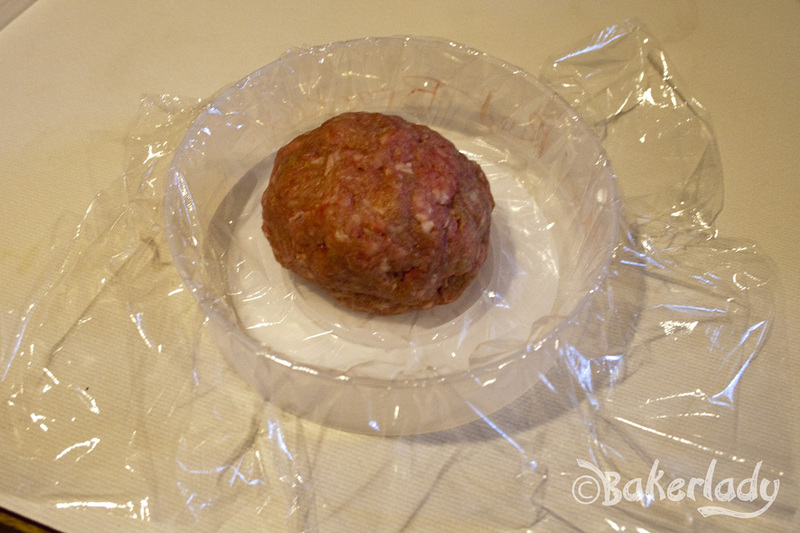 Set some plastic wrap down inside (for easy release) and plop one of your softballs in. 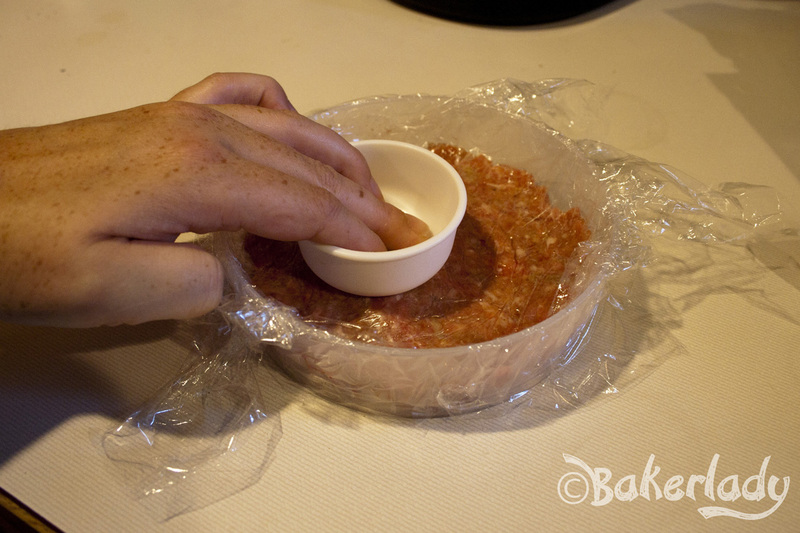 More plastic on top, then use your favorite rounded measuring cup to smoosh the meat into a flat shape all around the edges. Burger ball becomes burger patty. Awesome. Repeat with remaining balls of meat. 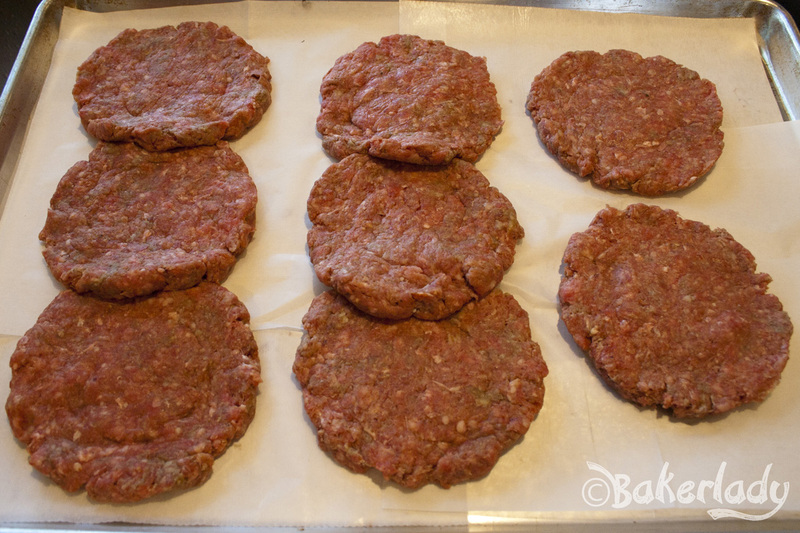 I make more than I need, then freeze the rest so I can have delicious homemade patties just as fast as someone else can make a pre-made, store-bought, frozen meat puck. See? Nice and flat and even. This way, when they plump as they cook, they don’t end up rolling off your bun. 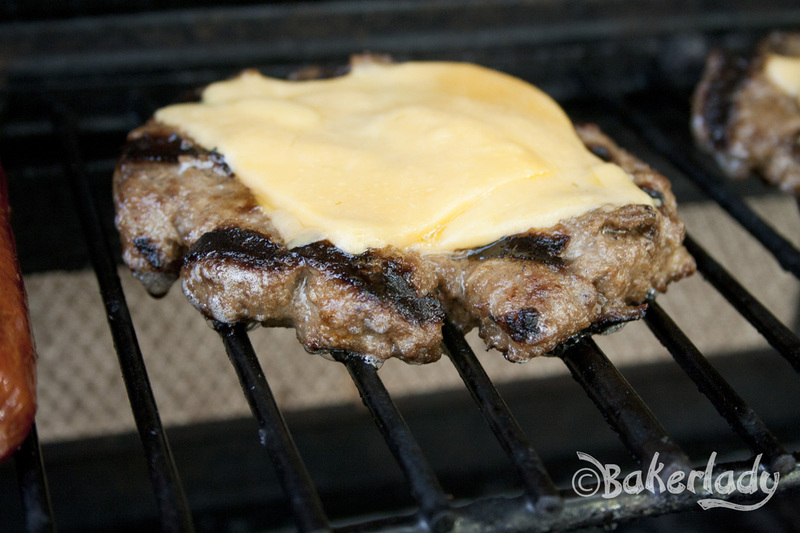 Hand off the perfectly formed patties to your favorite grill master. Mine goes by the name of Zack. He makes meat look pretty. Top it with your favorite accoutrements. Consume with breathless anticipation of the juicy, gorgeous deliciousness. No mooing. Still incredibly tender and full of flavor. I really did intend to take a picture before I’d wolfed down a giant bite. Really I did. But the meat heaven was calling me. I had to answer. 2. 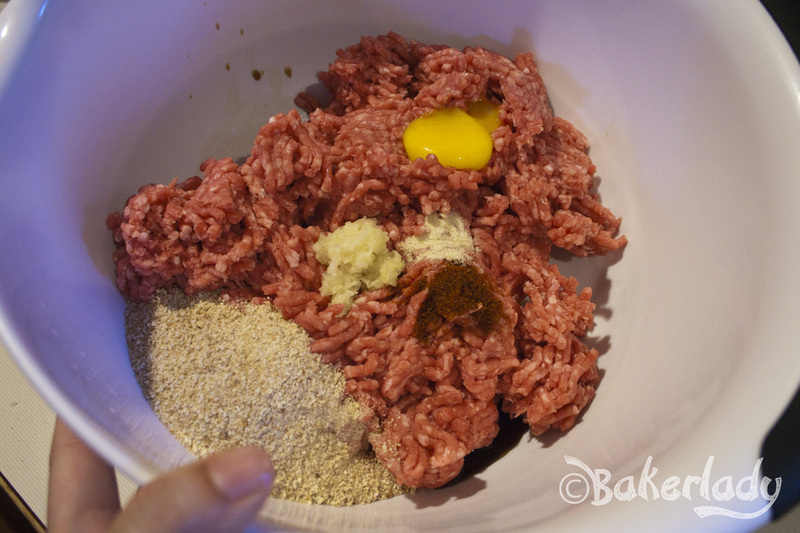 In a large bowl, mix the ground beef, egg yolk, bread crumbs, milk, Worcestershire sauce, chili powder, onion powder, pepper, salt and garlic using your hands. 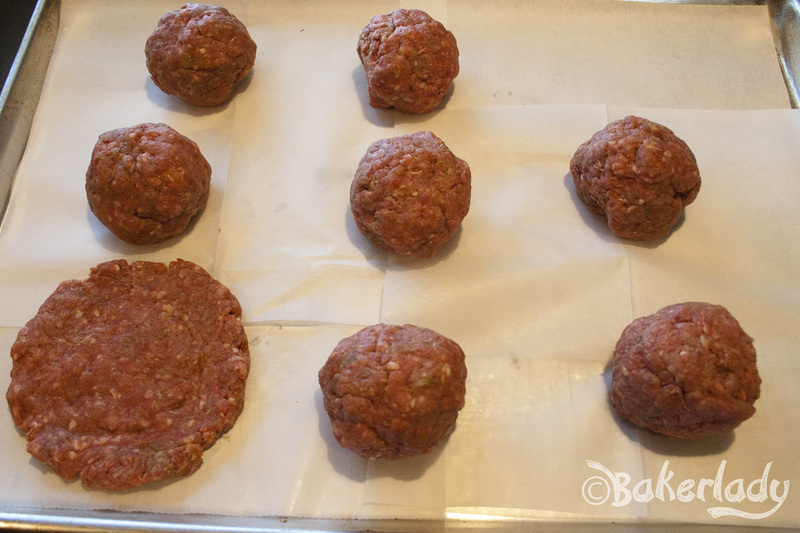 Form the mixture into 8 hamburger patties by pressing into a mold.